As part of its ongoing effort to combat opioid addiction, Premier Health announced today that it has received a grant from the PNC Foundation to assist the community in safely disposing of unused medications at any time at several sites across the Miami Valley. More than 70 percent of people using opioids for nonmedical reasons get them from family and friends, according to the American Medical Association. The diversion of these medications for inappropriate purposes underscores the importance of their safe handling and disposal. 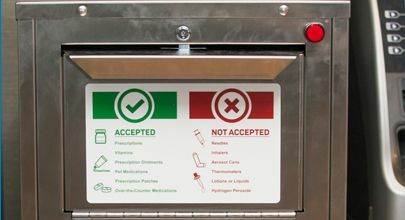 Those disposing of their unused medications are encouraged to place them in plastic baggies instead of bottles. It is not appropriate to use the receptacles to dispose of needles, syringes, aerosolized cans, inhalers, thermometers, lotions or liquids. Unused medications will be incinerated and will not be taken to a landfill. For more information on local efforts to combat opioid addiction, go to opioidassist.com.